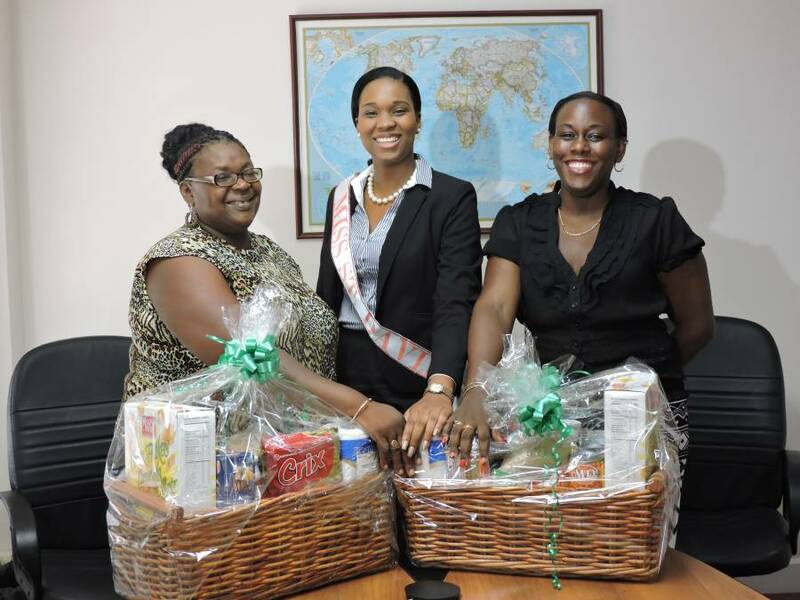 2016 National Carnival Queen Show contestant, representative for the Parish of St David, Ruth Bailey has extended her support and encouragement for persons living with disabilities in her community. On Wednesday 18 May, Ms Bailey visited several persons living with disabilities, as part of a community outreach initiative in conjunction with the Grenada National Council for the Disabled (GNCD). 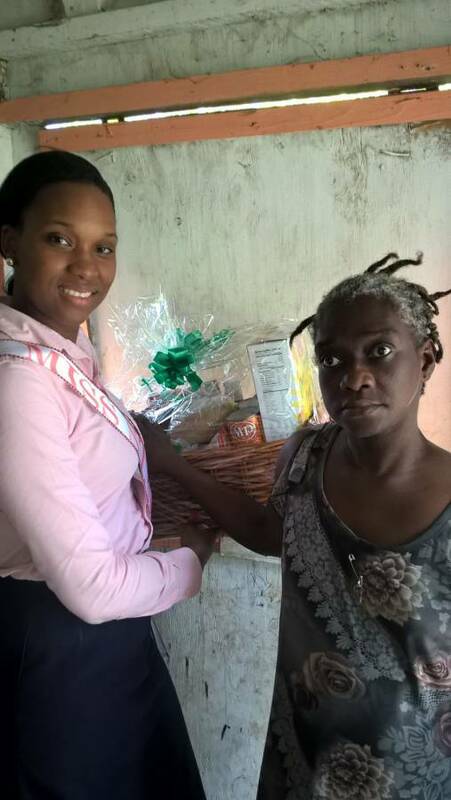 Ms Bailey met with persons and families who are affected by different disabilities, and also took the opportunity to distribute food hampers to those in need as part of Disability Awareness Month, which is celebrated in May in Grenada. “GNCD’s theme ‘Leave No One Behind for My Disability is One Part of Who I Am’ resounded with me. I took this opportunity to meet with the disabled persons in the community in order to truly understand how their disabilities affect their lives” Ms Bailey commented. This community visit followed a donation made to the GNCD on 9 May, where Ms Bailey presented two food hampers to be distributed to persons in the community living with disabilities, and the Family Fun Day/Health Fair where Ms Bailey participated in several of the day’s events, including a game of cricket with the youngsters. “This has been a very somber, yet rewarding experience for me. Some of these disabled persons are often forgotten or neglected by the wider community. They do not have access to basic health care or food, which are privileges most persons enjoy and take for granted. I would like to encourage my fellow Grenadians to reach out to these persons in their community to remind them that they matter. Even a gesture as small as a five-minute visit will make a significant difference” Ms Bailey further noted. Hillary Gabriel, Coordinator for GNCD thanked Ms Bailey for her contribution and recognizing persons in need in her community. “It is a great joy to see a young person taking notice of the less fortunate in her community. Your contribution and the time you have spent with these individuals and families was greatly appreciated” said Ms Gabriel. 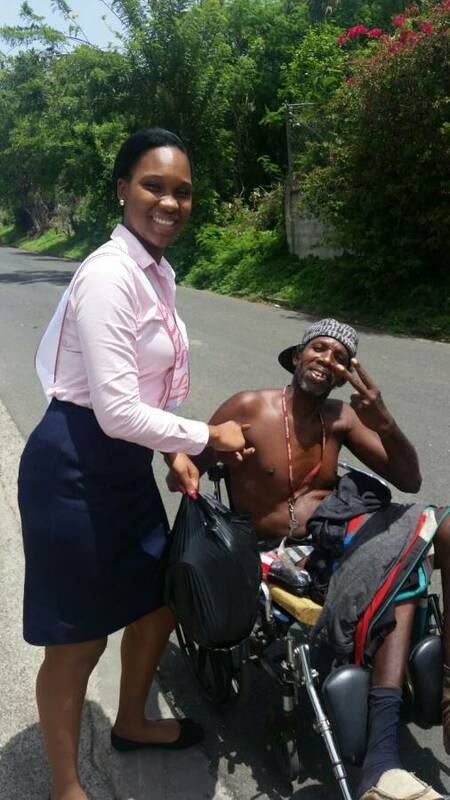 Throughout the month of May, the GNCD, along with a number of special care organisations coordinated various fundraisers, sensitization walks, fun days and community outreach initiatives for persons living with disabilities across Grenada. The activities for May Disability Awareness Month will come to an end on Tuesday, 31 May, with a career day coordinated throughout the specialized schools for children living with disabilities.